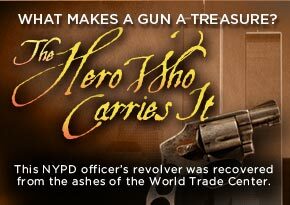 This series spotlights firearms of significant historical value. Each piece features a complementary video with one of the museum's curators narrating the fascinating story behind the gun or group of guns. Several have the added presence of a noted NRA advocate - such as Oliver North, Susan Howard and John Milius - or a current or past NRA leader like Ron Schmeits, Kayne Robinson, John Sigler, Sandy Froman and Marion Hammer.